R.I.P. Staff Sergeant Wilson Douglas Watson February 16, 1922 – December 19, 1994. Within the ranks of the military, there exists a certain rivalry between those who serve on the front lines and those who serve in the rear with the gear. While all jobs contribute to putting Americans in the fight, the Marines have long prized their beloved infantry above all. In modern terms it is referred to as the “grunt versus POG debate” with POG referring to “persons other than grunts.” In Vietnam, one might have heard the term REMF–which stands for something the author may not be authorized to type on this platform. Whatever one might call those in the rear, it would serve students of history well to hold their tongue before calling men like Army mess hall cook Wilson Watson a POG or REMF. Little would they know that they would be speaking of a man who fought the Japanese Army alone for 15 minutes on Iwo Jima before the rest of his platoon caught up. The cook serving up a healthy dose of S.O.S on a plate had previously served up violence on Iwo Jima that would lead to the deaths of 60 enemy soldiers. Yes, quite literally, the soldier cracking eggs in one war was a Medal of Honor recipient Marine in another. Wilson Watson was born in 1922 in Tuscumbia, Alabama, to Charles and Ada Watson. While they looked upon their new born baby with adoration, little did they know he would one day earn the nickname “The One Man Regiment.” In a family with twelve children, it is likely safe to assume that Watson had to do his share of fighting growing up. He spent much of his youth working on his father’s farm and was only able to complete 7 years of grade school as a result. When his nation was thrust into the fray of World War II, Watson didn’t hesitate to do his part. 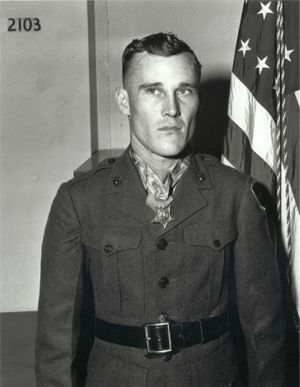 August of 1942 saw him at a United States Marine Corps recruiting station in Little Rock, Arkansas, where he began his journey towards Medal of Honor Marine. He attended basic training at the United States Marine Corps Recruit Depot in San Diego before eventually deploying overseas with his fellow Marines, ready for the fight. 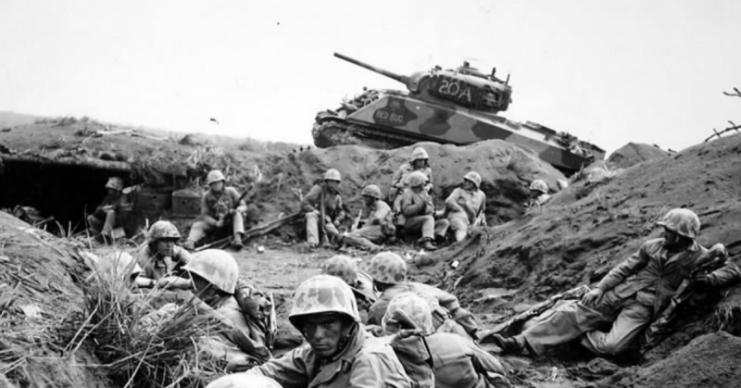 Although Iwo Jima was where he would earn his unique place in military history, Watson actually gained experience as a combat veteran elsewhere throughout the Pacific. 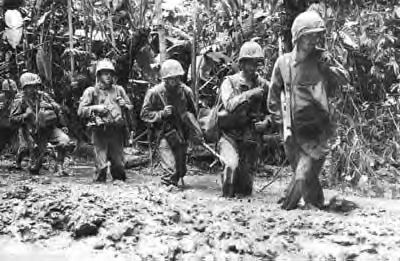 Serving with G Company, 2nd Battalion 9th Marines, he saw action in Bougainville, Guadalcanal, and Guam. When the Marines finally hit the beaches of Iwo Jima in February of 1945 for their most iconic battle, they had no idea that a one man regiment existed among them. 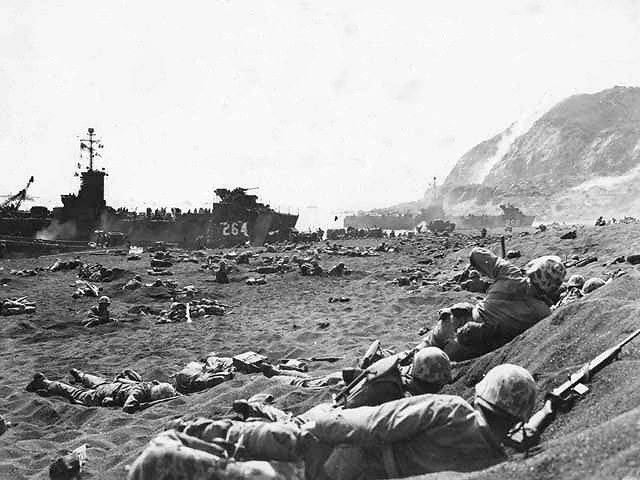 Nearly a week after the initial landings, Watson and his fellow Marines had already witnessed what level of savagery it would take to overcome the island. 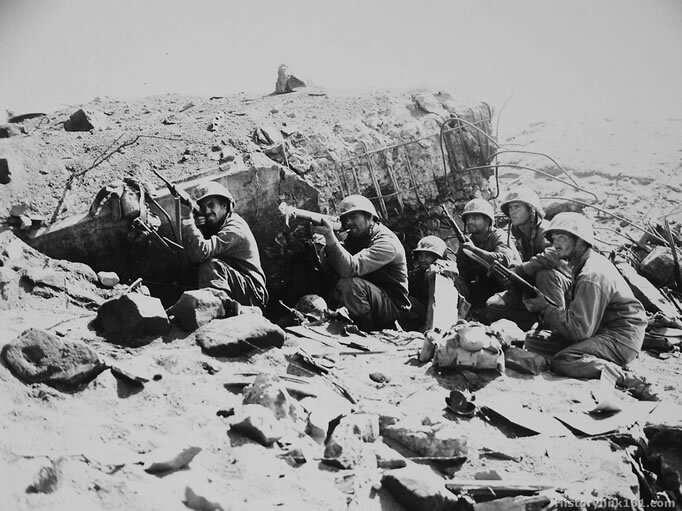 The Japanese were well dug in, with a zealous commitment to fight to the death. Fortunately for America, the Marines were more than ready to match their aggression. As the 26th of February dawned, Watson’s squad became pinned down by enemy fortifications that poured withering fire into the Marines. Upon his own initiative, Watson rushed the first enemy pillbox alone. After pinning down the Japanese with rifle fire, he approached the opening of the pillbox and tossed in a grenade. Then, for good measure, he ran around to the back of the enclosure in anticipation of those retreating. When they arrived as expected, he cut them down with a lethal burst of fire. 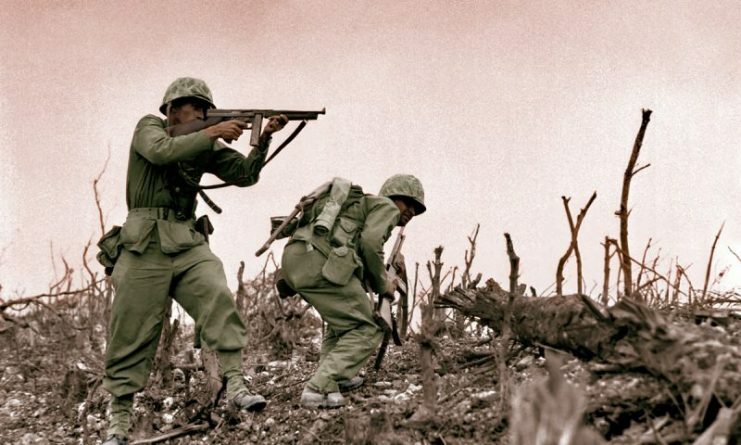 Not yet done with his acts of gallantry, Watson charged into action again when his fellow Marines came under fire from some Japanese soldiers on a small hill. 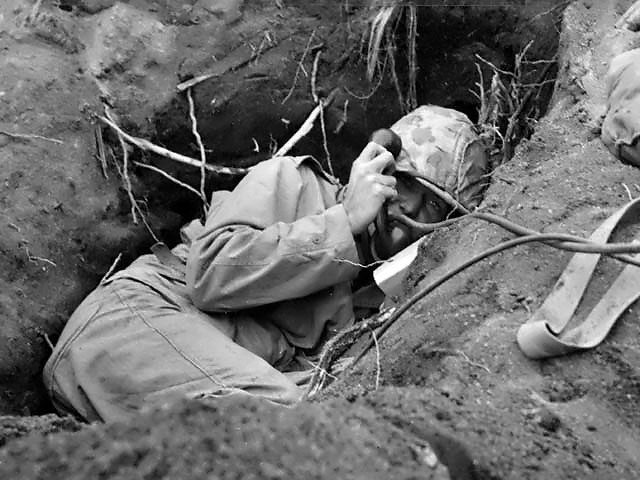 Burrowed in his shallow foxhole at the edge of Motoyama airstrip on Iwo Jima, an US Marine communicator called for artillery support, February 1945. Watson scaled the rocky escarpment, killing every enemy that crossed his path. 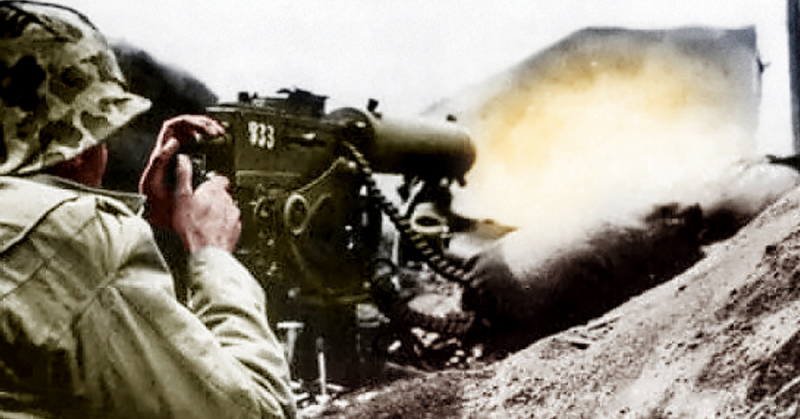 The Japanese, who were none too pleased with his presence, began to pepper the hill with mortars and grenades. Remarkably, Watson could be seen standing erect, gifting violence right back to the enemy the entire time. For nearly 15 minutes Watson stood alone on the fire-swept hill, although wounded multiple times by bullets and mortar fragments, holding the position until the rest of his platoon could catch up. On that particular hill alone it was estimated that he had killed nearly 60 Japanese. Thus, the legend of “the one man regiment” was born. After his gallant stand, Watson took a bullet to his neck and was eventually evacuated from Iwo Jima. By the time he returned home, he had received the nation’s highest military honor. Not quite done with service, Watson later enlisted in the Army, where for a time he served in the mundane role of mess hall cook. Having earned the respect of his fellow grunts in the Corps’ most iconic battle, perhaps Watson felt he had nothing left to prove. 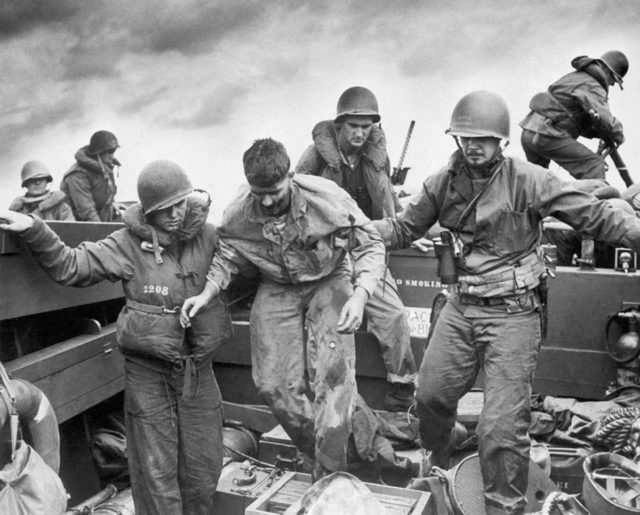 US Coast Guardsmen assisting a wounded Marine into an LCVP after the Marine’s LVT sustained a direct hit while heading to the landing beaches on Iwo Jima, February 1945. Typical of many men of the era, Watson seemed content to look past his gallantry and move on with his life. He retired from the Army in 1966. The man that an entire Japanese garrison on Iwo Jima couldn’t seem to kill would eventually pass away in 1994 as a local hero and legend. Wilson Watson may very well have ended his career as a POG, REMF, or whatever name one wants to assign him. It would just have not been wise to say that to the man’s face. The one man regiment will forever hold a hallowed and rightful place in the annals of U.S. military history. 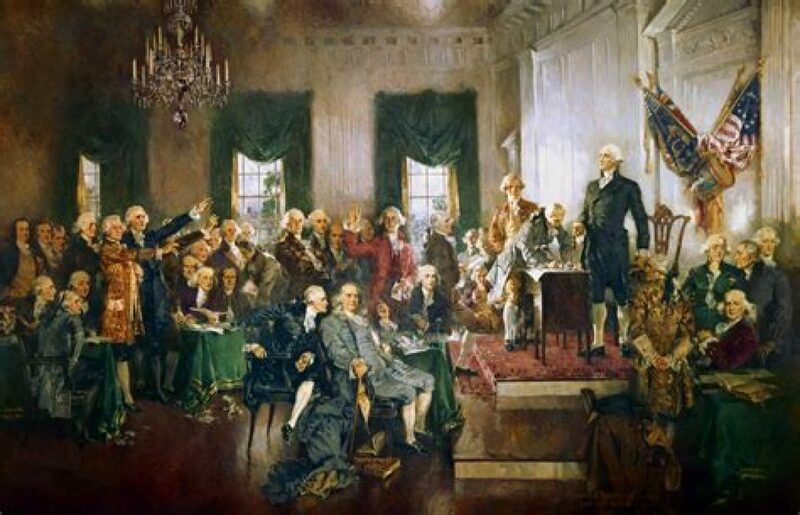 Next Next post: What Will It Take To Wake Up America?